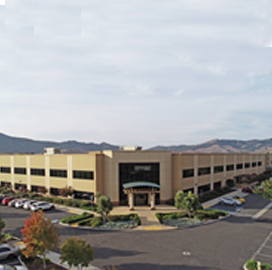 Trust Automation, an automation and cyber defense system supplier for military and industrial applications, is relocating to a 96K-square-foot facility in San Luis Obispo, Calif. The company said Tuesday it seeks to increase the amount of space allocated for engineering, business and manufacturing functions at the new facility. The additional space will accommodate Trust Automation's expanded operations in the semiconductor, defense and industrial areas. The new site is more than twice the size of the company's current 44K-square-foot office. “It was important for us to remain in the Central Coast Region, which has nurtured our rapid growth with the best technical talent pool we could hope to find,” said Ty Safreno, chief executive and technical officer at Trust Solutions. Lockheed Martin is the former occupant of the site.